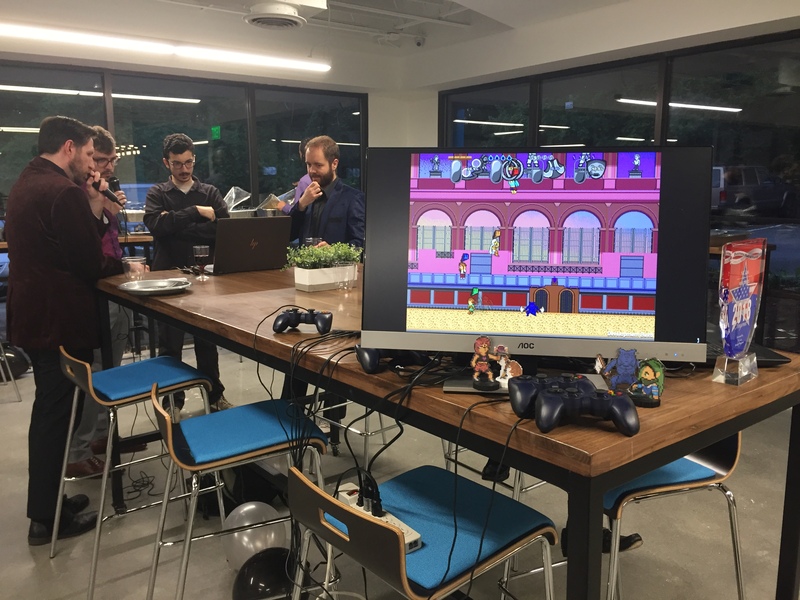 This former Tuesday, the local community of indie developers, Indie Cluster, hosted a donor party to help celebrate how far the community has come over the past couple years. Started as an idea by the organizer, Ron Jones (the artist), to help fill the significant void of organization of the indie developers in the state of Georgia. Indie Cluster has come a long way and provided many opportunities for helping getting the local indie developers into all of the conventions and events throughout the state, along with a few others across the country. The event was very formal with everyone finely dressed up. A red carpet was rolled out at the entrance to greet everyone. The food was quite bountiful as well. 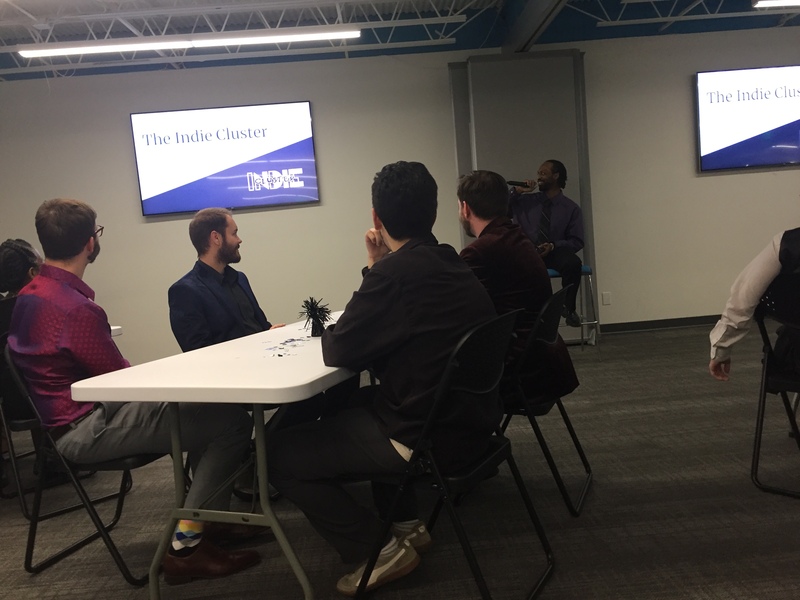 After some casual discussion, Ron gave a speech telling about the history of Indie Cluster, the growth of the developers helping support the Indie Cluster, and the future goals for the members of Indie Cluster. It was then wrapped up with Trip Wire presenting a check to Ron to help support the future of Indie Cluster.